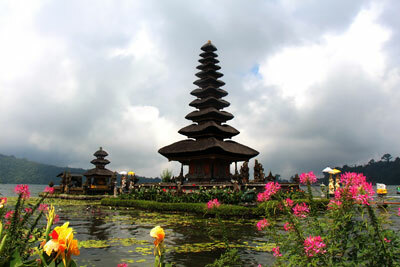 This tour is about 8 hours, it will take you to see beautiful landscape and the life style of Balinese Villager. We will see the terracing rice field, the traditional village and of course the temples. You leave the hotel at 09:00. With our car we drive up to the mountain on the way to Bedugul we make a stop in Mengwi Village to visit Taman Ayun, the beautiful Temple surrounded by the garden. Drive further to Bedugul for about 2 hours. The Bedugul Market where the Balinese spices and fruits and the vegetable as well sold will be in visited before we go to Temple by Beratan Lake, the Ulun Danu temple. After visiting the Temple on the Lake we drive back to hotel through the famous village Jatiluwih, it is famous for its terracing rice fields. 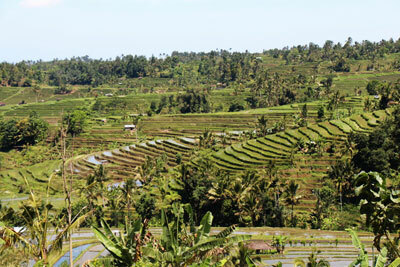 The high light of this tour is Jatiluwih, the best part of Bali where the rice fields lay from up the mountain down to the valley. Drive to hotel through the country side road. A Stop for the Lunch can be made in a Restaurant in Bedugul.